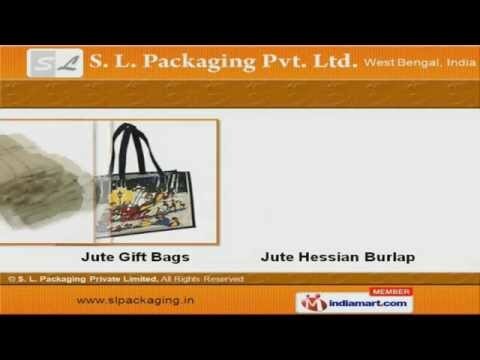 Welcome to S. L. Packaging Private Limited, Manufacturer & Exporter of Jute & Allied Products. We are an ISO certified company, incepted in 2007 at Kolkata. Our client-centric approach have helped us to gain clients across Africa, Europe, East Asia & other countries. Excellent pre delivery inspection, Customization, timeliness, Skilled & experienced workforce have helped us to gain clientele like M. P. Civil State Corporation Ltd. , ITC Limited, Sharda Solvent & other companies. Our product list includes wide array of Jute Promotional, Ladies & Wine Bags. We offer premium grade Jute Gift Bags & Hessian Burlaps. Along with that we provide Sacking Bags, Jute Hessian & Burlap Cloths Our Jute Webbings & Yarns are a class apart. Raw Jute, PP/ HDPE & Cotton Bags are some of our best selling products. Our wide array of Non Woven Products includes FIBCs, Bulk & Jumbo Bags.